Do the math my price is a steal. Mermaids Cove is having its killer clean up sale. 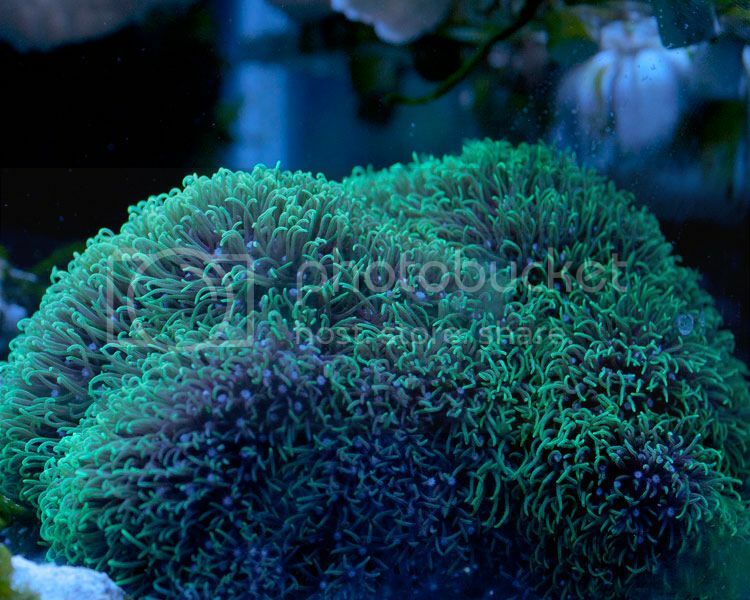 bags are 10 blue leg hermits, or 10 astrea snails, or 5 black nerite, or 5 black and white nerite, or 1 emerald crab, or 1 peppermint shrimp, or 1 pencil urchin, or 1 sally light foor, or 3 mexican turbo, or 1 short spine urchin, 1 pincushion urchin, or 1 chition. If you buy 4 bags we will give you 1 bag for FREE!!! Wysiwyg green hammer with purple tips. 2 heads. 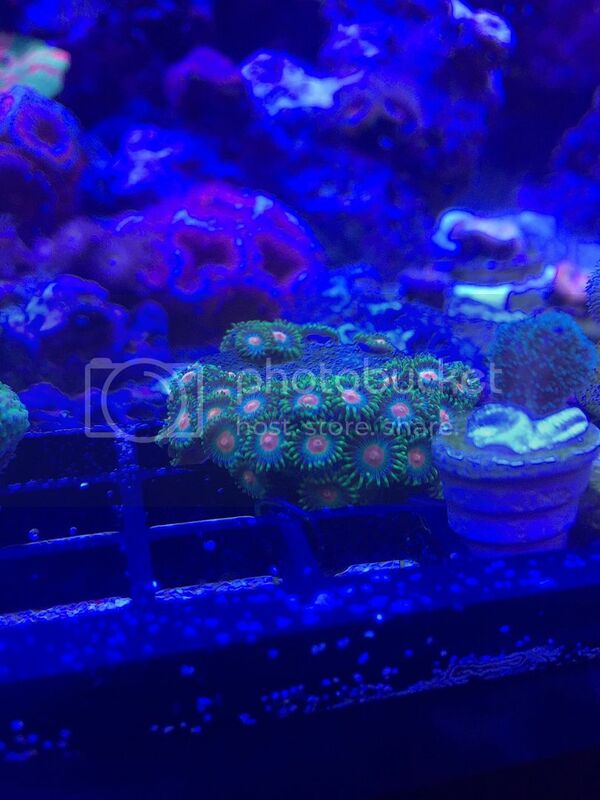 40+ heads of Green Bay packer zoas. Very nice mini colony. 12 heads, very nice branching hammer. Green with purple tips. This is for the left frag in the image. 2 branches about 1.5". Must be picked up by 2pm. 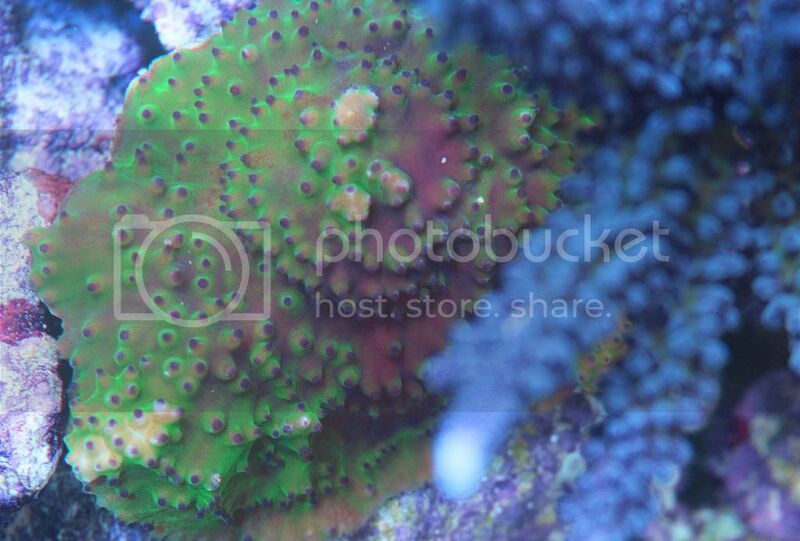 Frag size on this gem will be around 1" mounted. If you reserve this item, please make arrangements to pick up the frag by 2pm at the swap. It doesn't get much better than this one. 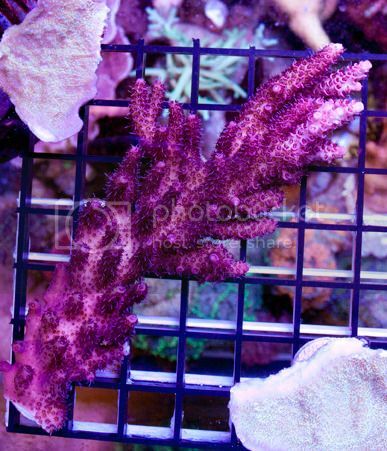 Absolutely stunning hot pink acro. 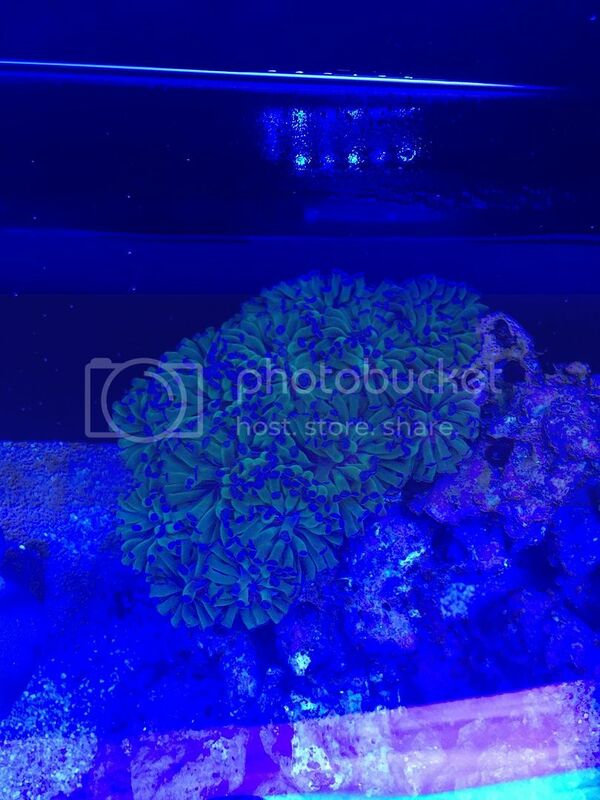 Frag size 3/4." 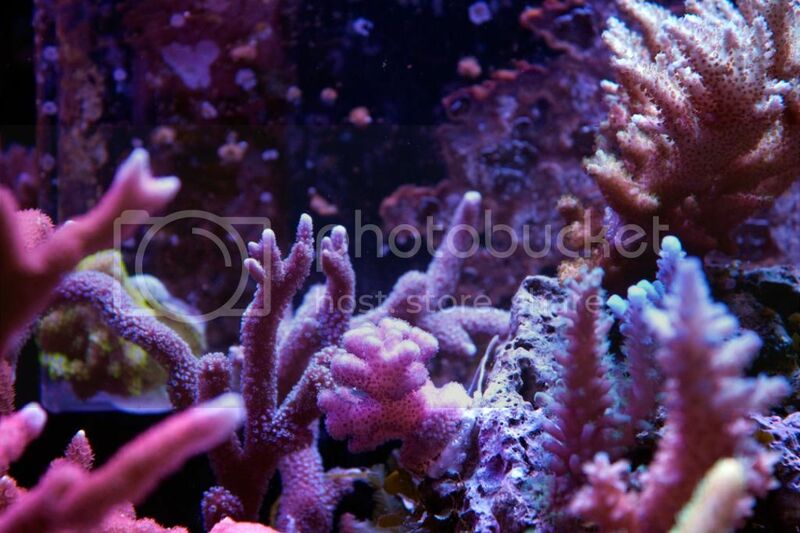 If you reserve this item, please make arrangements to pick up the frag by 2pm at the swap. A couple of normal wear and tear type spots (where the hanging kit screws into the fixture there are some minor paint blemishes, but you cant even see them when its hung, lol). Its an awesome fixture with seperate switches and plugs for dawn and dusk setup. 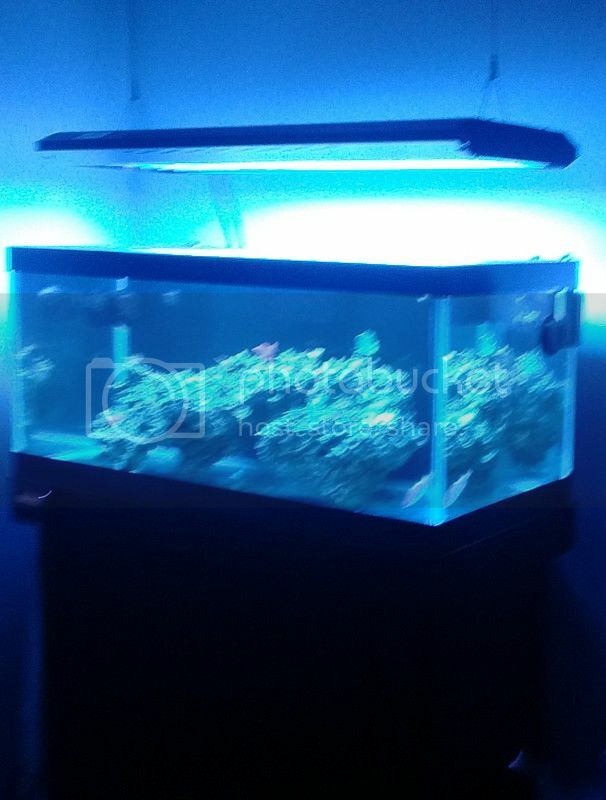 Has all ATI bulbs ... 4 blue+, purple+, and actinic with still about 6-8 months life. $225 or trade ... i will bring it to the swap if interested. Stunning, very rare and crazy colorful. 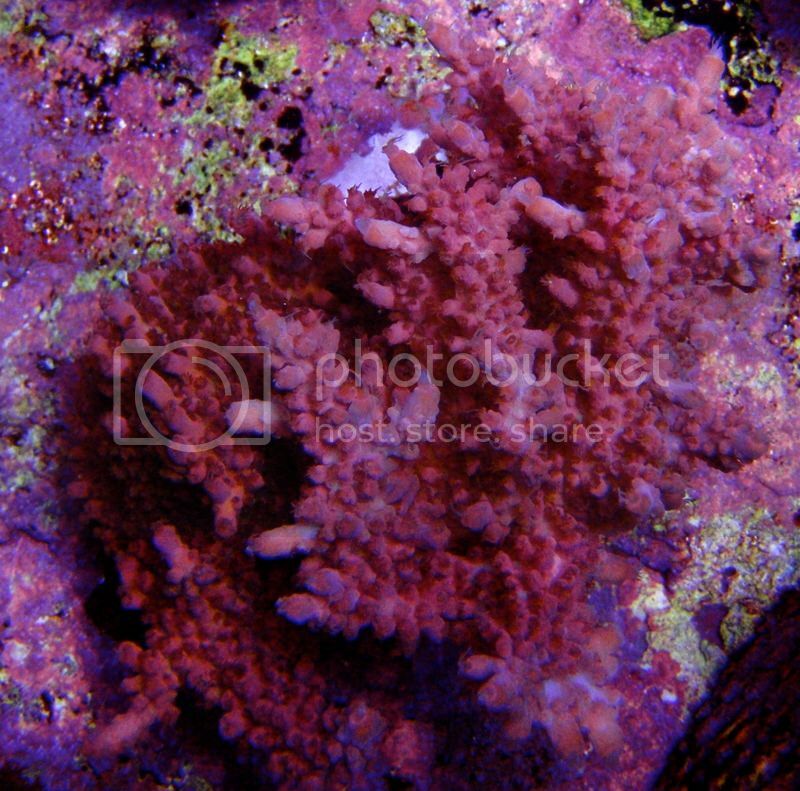 Frag size is around 1" mounted. 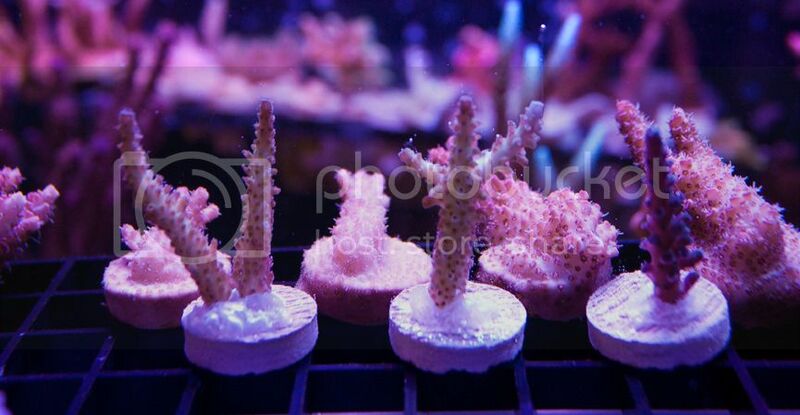 If you reserve this item, please make arrangements to pick up the frag by 2pm at the swap. 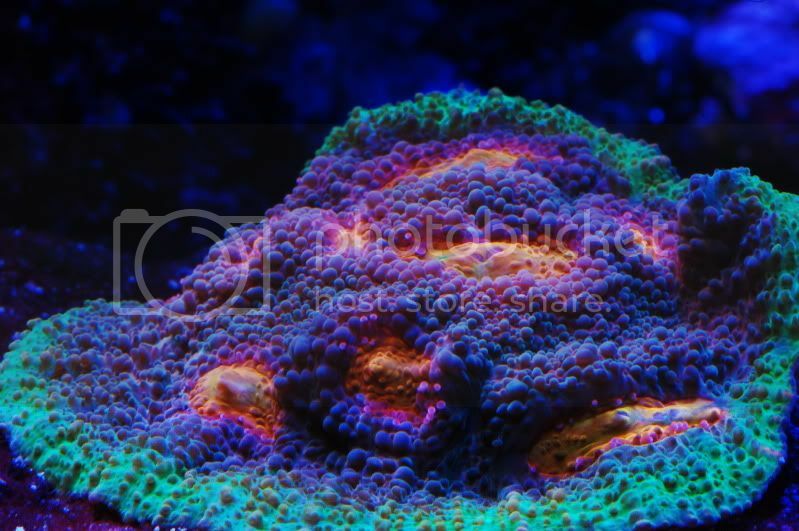 Stunning multi-branched Ultra grade ORA Strawberry Shortcake frag. 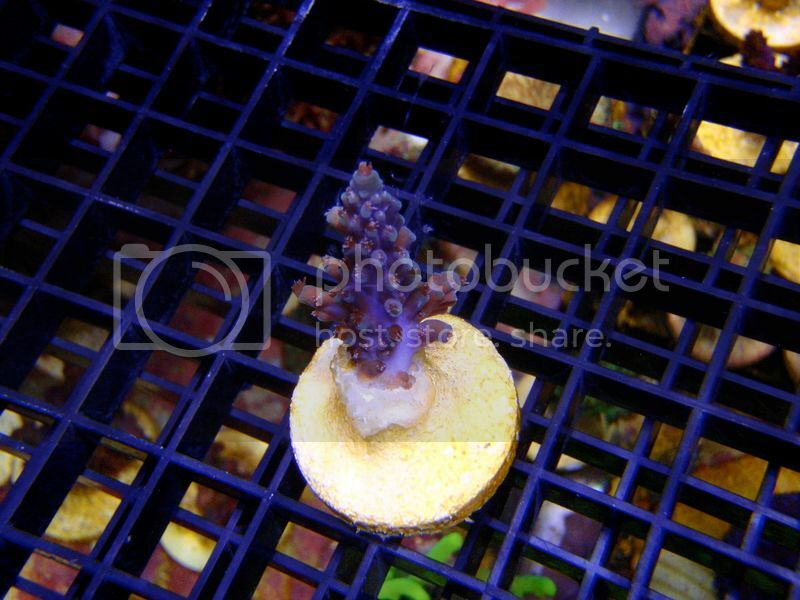 You will get the exact frag pictured, which is mounted to a 1.375" round ceramic disc. 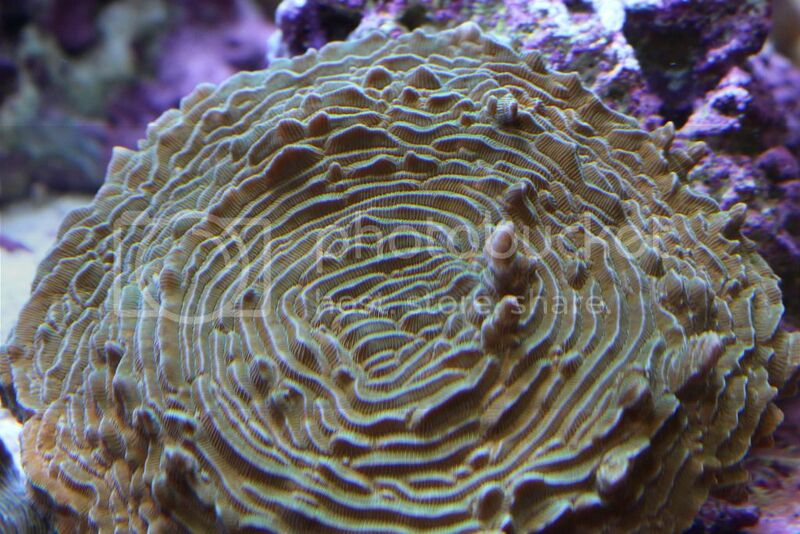 If you reserve this item, please make arrangements to pick up the frag by 2pm at the swap. 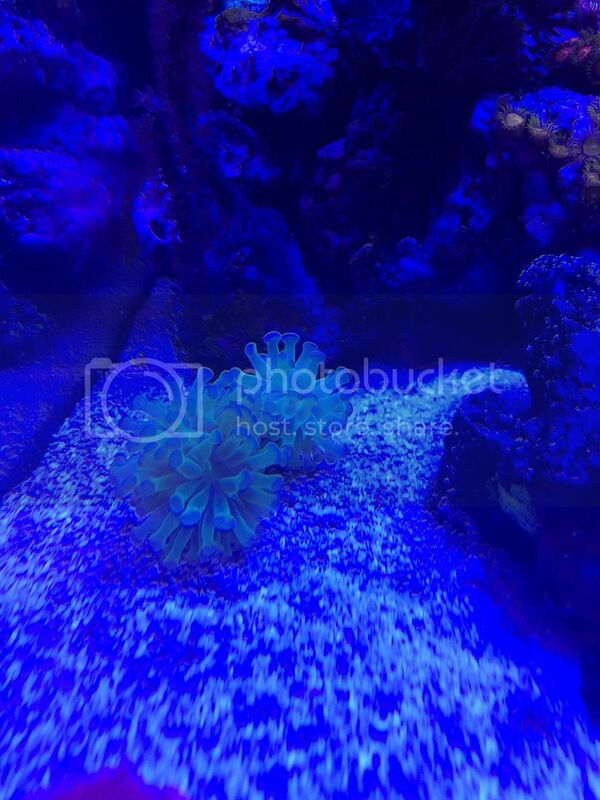 This is a coral that you don't see to often, while its not the brightest coral in my tank its for sure has one of the neatest growth pattern. 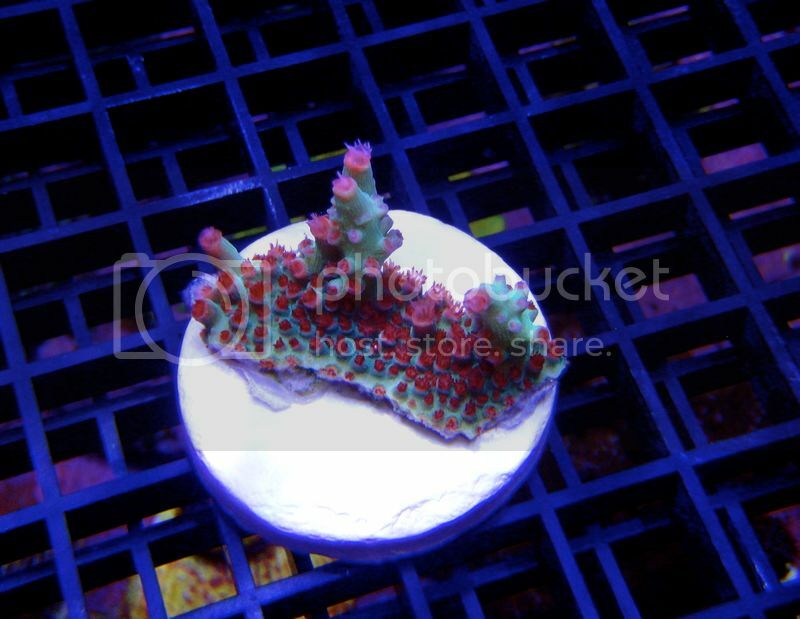 Frags will be around 1" mounted. These are large pieces grown on to live rock. 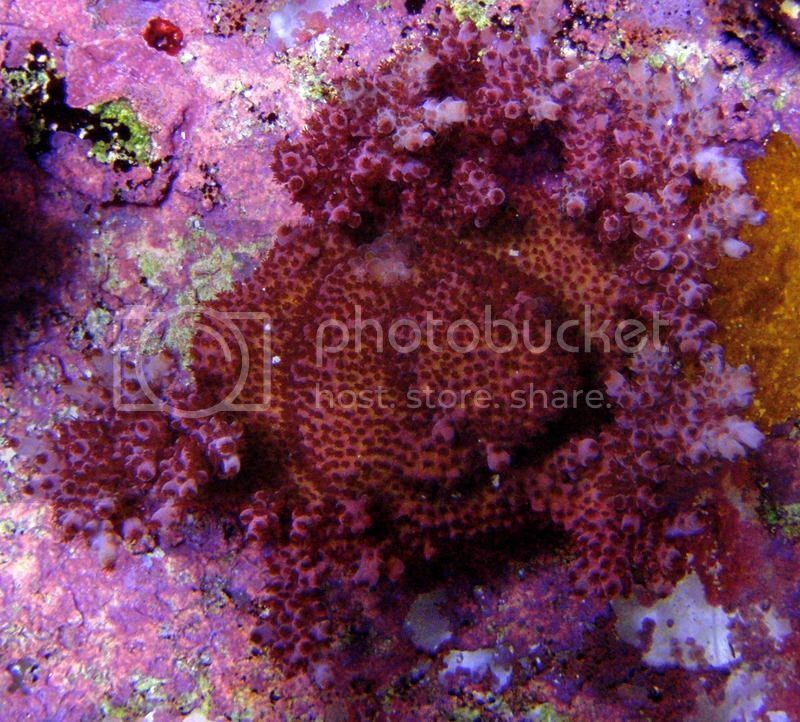 Each "frag" is about the size of a baseball. Purple Monti Digi - 2"